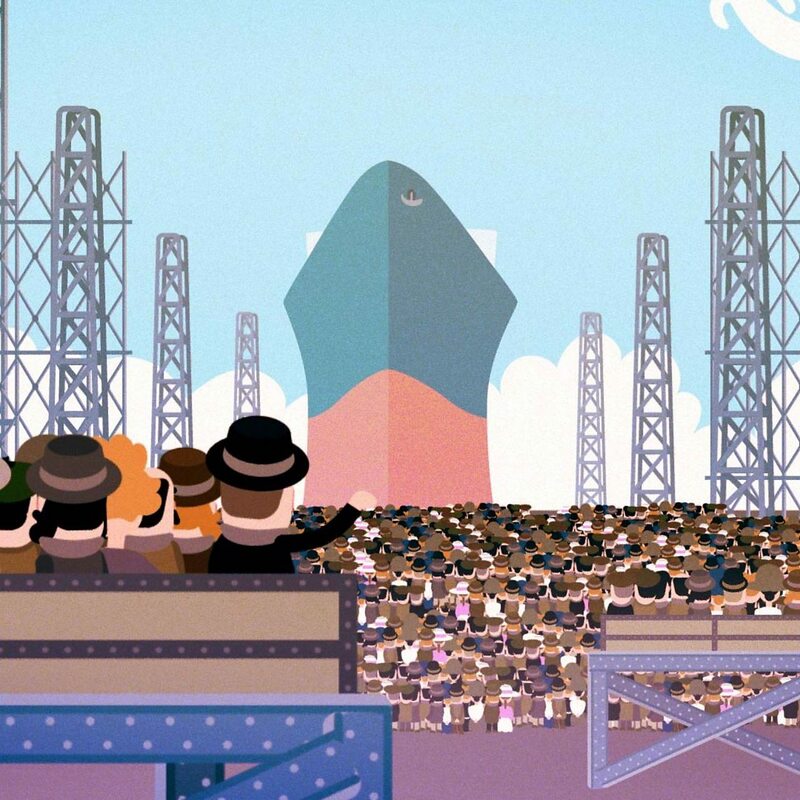 The launch of Titanic in May 1911 was the peak of Belfast’s golden age of shipbuilding. Titanic was the largest man-made object ever to have taken to the seas. Harland and Wolff employed thousands of men, with over 15,000 working on Titanic. Many jobs involved working with steel including welders, riveters, platers and plumbers. Carpenters worked with wood to design things like cabinets and staircases, while architects designed the ship in their offices. 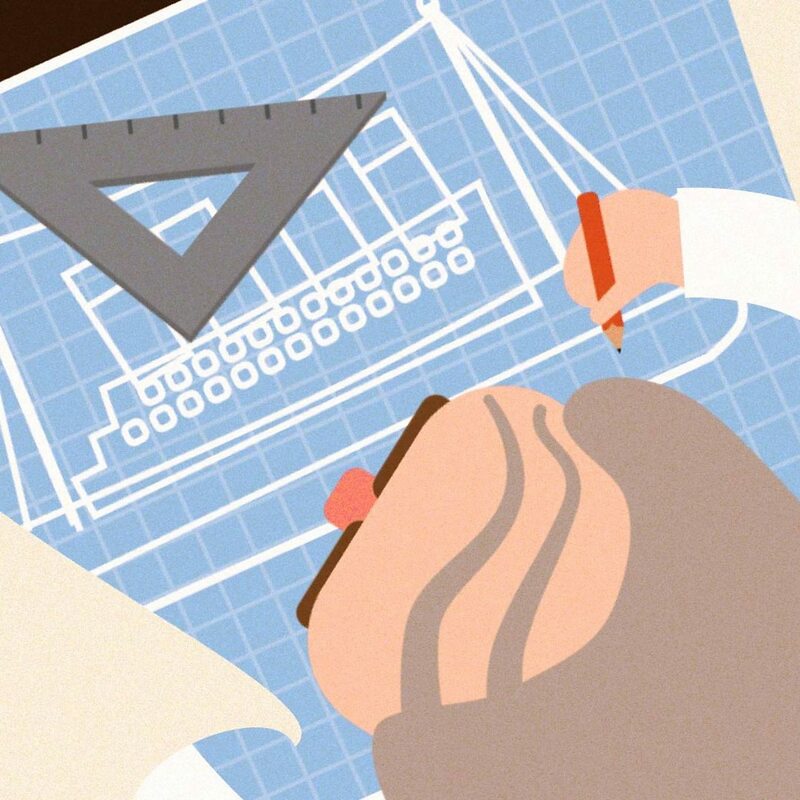 Find out who built Titanic in this animation. Titanic was built in a graving or dry dock. This is a large enclosed dock with all of the water taken out so that workers can easily move around the outside of a ship. 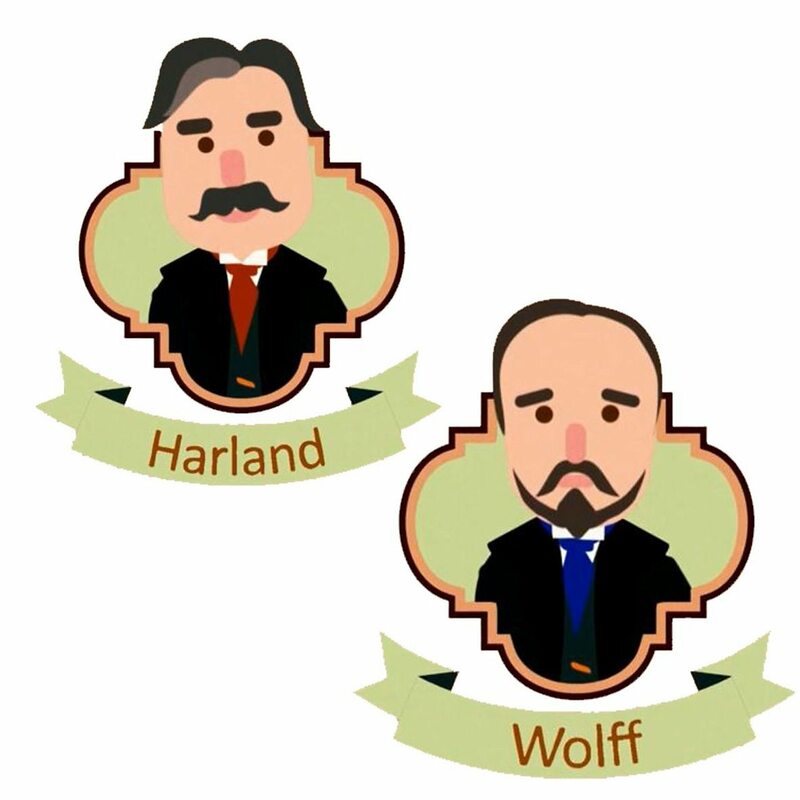 Harland and Wolff had three of them - Hamilton, Alexandra and Thompson. Thompson Dock was the largest and was designed to accommodate Titanic. You can still visit it today. The architect of Titanic and its sister ships Olympic and Britannic was Alexander Carlisle. The designer was born in Ballymena and is generally thought to have been responsible for much of the internal design of the ships. Having retired in 1910, Thomas Andrews took over from Carlisle and died on board its maiden voyage. Find out the different types of materials used when Titanic was built. Coal was the fuel used to power Titanic’s engines but before they could be fired up, workers used 22 tonnes of soap to make sure it could slip into the water smoothly. Titanic weighed over 24,000 tonnes when it was launched. It weighed much more when it was fully fitted and all passengers were on board, making it one of the largest man-made structures of its time. Two rockets were fired to signal the launch of Titanic but there was no big ceremony that we're used to seeing nowadays. It took Harland and Wolff around three years to finish the ship but only 62 seconds for it to slide off the slipway and into the water. The launch was a momentous occasion for the city of Belfast. It was attended by over 100,000 people and interest was so great that people gathered wherever they could get a vantage point so that they could catch a glimpse of the ship before it set off. What was life like in Belfast in 1910?